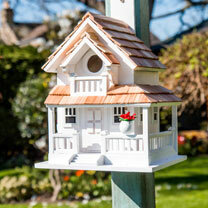 Removable back wall drainage ventilation, unpainted interior and a 1¼" hole size will invite nesting birds in and keep larger ones out. 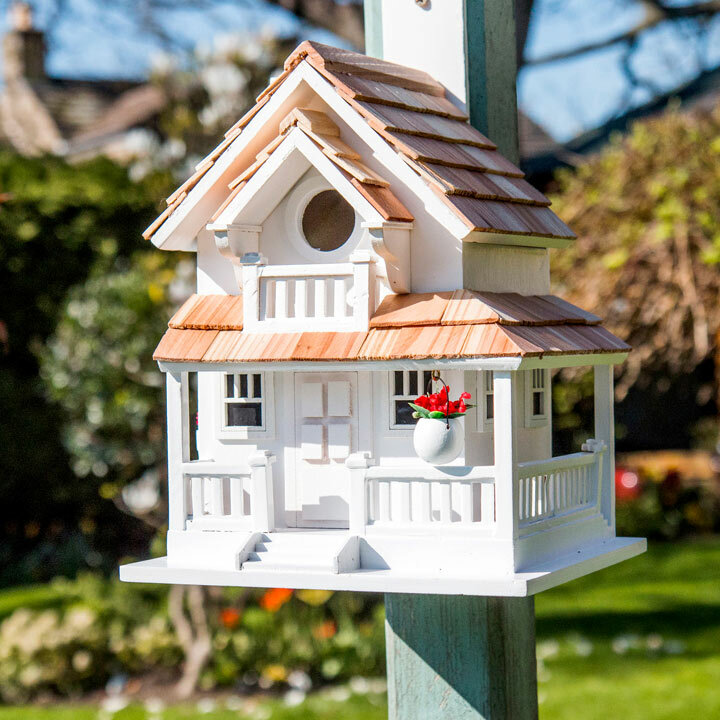 Fully functional this decorative wooden house will lure both people and birds! 27.5 x 20 x 16cm.